Many ebooks and other resources that business owners use will place an important emphasis on the need to be at the top of search results, whether that be on Google Search, other engines, or even in places like social media. But surveys have shown that people quite often will look at other results and they will scroll down through the page. Being on top of a second page, for example, can be quite beneficial for traffic. Also, search ranking is only one part of the puzzle. Now Google places other results on the page like social recommendations and local results as well, which means there are many more avenues open to you, and being in first place is no longer as crucial as it once was. Doing SEO simply means that you follow a set of techniques and procedures to improve the chance that web users will go to your site. It is true that anybody can learn these techniques, and, if you are a web site owner and you want to do your own SEO, then you can spend the time to learn and apply those techniques. But SEO can be complex and touches many areas such as marketing online, coding, technical aspects and PR skills. Most business owners simply do not have everything required to do a great job at SEO, and that is why so many agencies exist that offer help. An IT worker or online marketer is often not enough if you want truly good results. It used to be that every page on your site needed Meta tags in order to rank well. Those are small pieces of code that would give Google a list of keywords and a description. The search engine would use those to find out what your web site was about. Now however, those do not affect your ranking at all. Both Google and Bing stopped caring about META tags awhile back. However, Meta tags are not useless. For example, the description tag is the text that often appears next to the link that shows up in the search results, so it still serves a useful function. Back in the dotcom days, it used to be that the URL you used was very important. Google placed a lot of importance on the domain name, and if you could get a name that had your keyword in it, you would gain a big advantage over other sites. This is why a lot of companies in the late 90′s bought domain names for a lot of money. But now, the indexing process only looks at the actual content of your pages, and not the domain name. The domain name is still important, because people still get to see it, but it will not give you a higher rank. All search engines used to have URL submission forms where you could send your site to Google and others. In fact, they still do, but that process is unnecessary. The crawlers that these engines use now are sophisticated enough that any new site will be found in a matter of days, if not hours. The only time you would have to worry about submitting your site is if for some reason it was not indexed automatically after a couple of days. Google offers a webmaster interface and from there, you can submit a sitemap, which is a XML file containing links to every page on your site. Some site owners take the time to submit such a file every time they make a change, but that is not necessary. Submitting a sitemap does not change your rankings. All it does is add pages which may not have been indexed already. If your site is typical and has links to all your pages, then it is not needed. Before the advent of Facebook and Twitter, SEO was the one and only technique to get traffic in an organic way. But now, social media is everywhere, and the line is quickly blurring between the two. While some marketers still consider SEO and social media to be different beasts, the truth is that they are very closely linked. For example, Google now places their own social network, Google Plus, into its search results. If you can get enough influential people to talk about your product and link to your site, then their recommendations will show up in any Google search result that their friends do. This clearly affects SEO. On the flip side, Facebook has also entered search, by recently introducing their Open Graph engine, which searches based on friends and interests. So the two spheres are closely linked, and they are becoming closer all the time. The Google bot used to be fairly primitive and only saw text, which is why many people concentrated on the text part of their web site. The crawler can definitely see whether your site’s presentation is appealing to users or not. For example, if someone searches on a mobile device and you have no mobile layout on your site, you may be missing out. Some people think that by updating their home page content all the time they will rank higher, or by not updating it their ranking will drop. In most cases that is not the case, because if you have a sales page that offers a product, then there would be no reason to update that page unless something about the product changes, and Google expects that. The structure of your page is seen by Google and other engines, but you have to realize that many sites are structured very differently. As such, no one specific tag has more value than another. An H1 tag is simply a header that corresponds to a CSS entry in order for the user to see your page a certain way. It does not make Google rank your page any differently if you use H2 tags instead, or if your keywords are mostly in the text and not in a specific CSS tag. Some sites try to link to many other high authority sites in order to help their rankings, but that does not help at all. Google uses PageRank to decide how your site will rank, and that algorithm is based on how useful your site is to others, and as such it will only look at how many other people link to you. Whether you link back to them is of no importance. Otherwise, any site could rise to the top simply by linking to millions of sites, which is simply not the case. Many people use automated SEO methods that do not fall into the spam area. Many companies have very big sites and they use automated scripts to do a lot of the grunt work of SEO. Whether or not a method is spammy is based on what the result is, not on how automated it is. The algorithm that Google uses to rank sites is PageRank, which determines how useful a site is to others. But according to Google, search result rankings are also affected by hundreds of other inputs. Some of these inputs are easy to see, like having your site being recommended by others on Google Plus. This proves that not only PageRank matters. The company is staying tight-lipped on how many inputs there are and how important each is, but it is clear that there is more going on than just PageRank. With that said however, it is still widely believed that PageRank is the most important factor, and a PR10 page is always better than a PR3 page. Most of what Google sees on your site is the text that is visible to users, such as what appears on the screen and is rendered in a web browser. As such, it would be easy to think that the title is not picked up. However, your title is very important for SEO, because it is the text that appears on the link people will click on. Not only is Google using it to help your ranking, but people will also see it when they go to click on your site. Check out at least two or more SEO Companies or Freelancers and know their capabilities then weigh your options. Now that you know the method they are using, compare the pros and cons of both service providers. 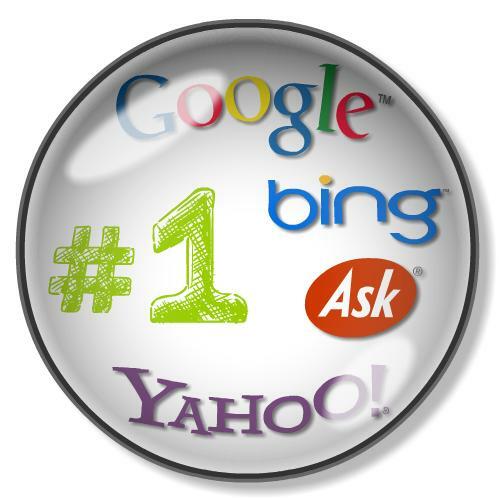 Nowadays, there are a lot of seo service providers in the world . In my experience, Thewebpole.com helps to their customers by providing Search engine visibility service to enhance their website visibility around the internet .